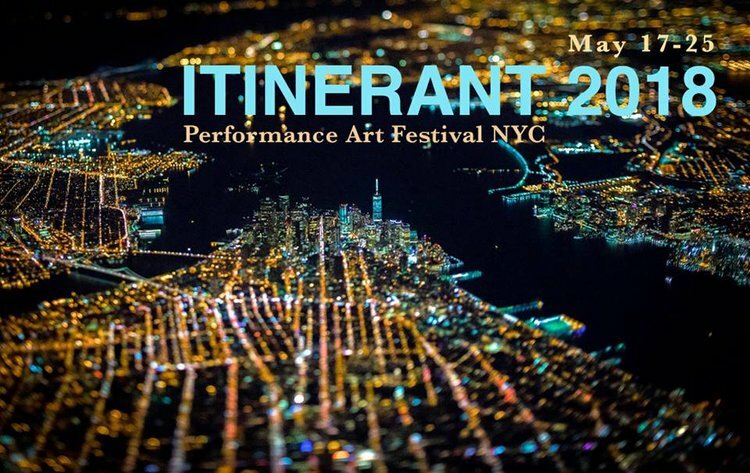 FSU Art MFA ’18 Nathan Hendrickson will be performing at Itinerant 2018, a performance festival taking place in all five boroughs of NYC. He will be sharing his most recent project A Prison For Browsing the Bird of the Air at the Queens Museum on May 19th, from 2-5pm. ITINERANT, the annual Performance Art Festival NYC, launches its 2018 program with the photographic exhibition “Entanglements” at EOArts on Thursday, May 17th, and performances at Last Frontier NYC on Friday, May 18th. The festival will run until Friday, May 25th featuring local, national and international artists at Queens Museum (May 19th), Staten Island Arts (May 20th), Bronx Academy of Arts and Dance, BAAD (May 22nd), Smack Mellon (May 23rd),and BMCC Tribeca (May 24th).